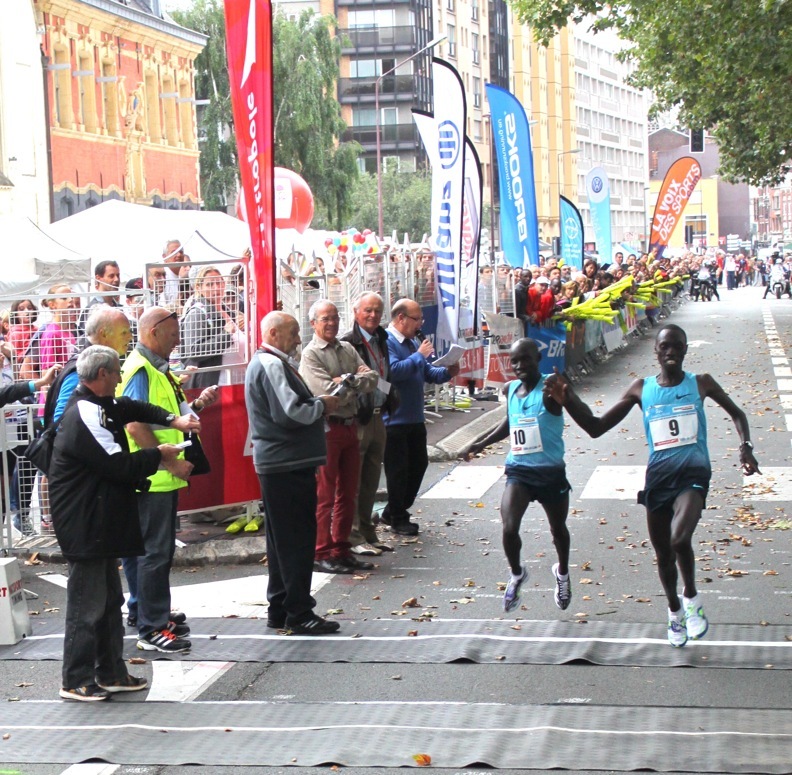 Daegu World Championships marathon silver medalist Vincent Kipruto and Diane Chepkemoi made it a Kenyan double at the Aug. 31 Lille International Half Marathon, winning close men's and women's races in 1:00:39 and 1:10:14. After a slow opening 5 km, Kipruto, Philemon Rono Cherop (Kenya), Habtamu Assefa (Ethiopia) and a handful of others stepped up the pace, grinding the pack down over the middle stages of the race until only three remained. Halfway through the second lap of the two-loop course Kipruto and Cherop shook free of Assefa, running side by side all the way to a sprint finish that saw Kipruto, this year's Lake Biwa Mainichi Marathon winner, take the title in a lean across the line. Assefa faded over the final quarter of the race but held on to 3rd in 1:01:05. 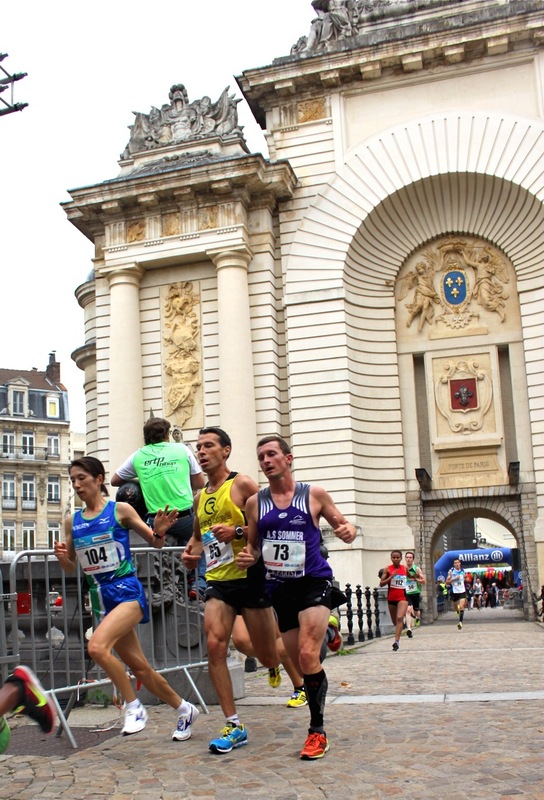 Four top-placing Japanese men from March's National Corporate Half Marathon Championships also raced Lille with support from JRN, Muryo Takase (Team Nissin Shokuhin) finishing first in 1:02:55 for 16th place. 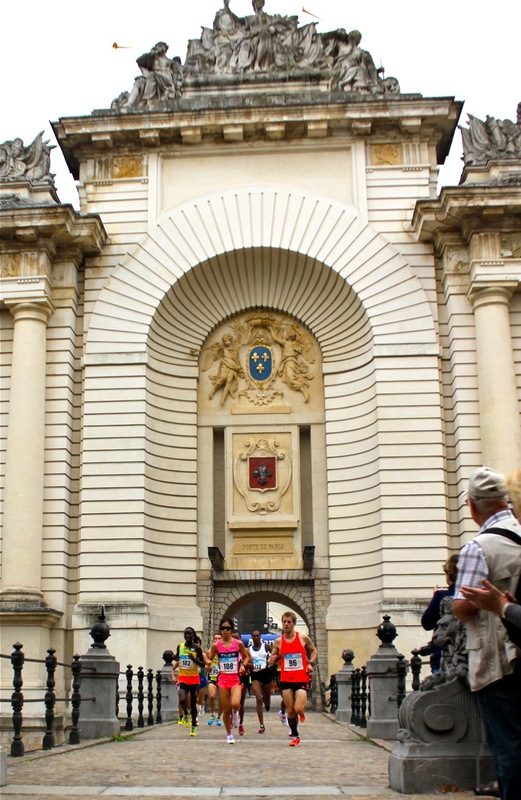 The four Japanese women in Lille made a bigger impact on the race. 23-year-old Rei Ohara (Team Tenmaya) took control of the first loop of the course, leading until near 10 km when 2013 National Corporate Half Marathon winner and London Marathon 3rd-placer Yukiko Akaba (Team Hokuren) took over with a surge that broke up the leading pack of seven women. Running just six days after finishing 2nd at the Hokkaido Marathon, Akaba pushed the pace for 4 km and dropped competitors one by one until Chepkemoi responded with an aggressive surge of her own. Monica Jepkoech (Kenya) responded as Akaba fell behind, but over the next two km Akaba worked her way back up into contact. Heading into the park around the Citadel of Lille for the final 5 km of the race Jepkoech slipped back as Chepkemoi threw in a series of surges to get rid of Akaba. 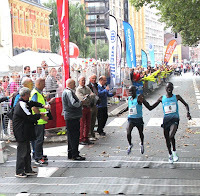 Each time Akaba returned, but over the final two km Chepkemoi proved too strong and pulled away to win by a margin of 10 seconds. Jepkoech was another 16 seconds back in 3rd, with early leader Ohara taking 4th in 1:11:24. Having set the course record at July's Gold Coast Airport Marathon and finished 2nd in Hokkaido last weekend prior to Lille, Akaba seems to be experimenting with a Yuki Kawauchi-style high-volume racing approach. She next heads to Boulder for altitude training ahead of October's Chicago Marathon, her fourth marathon of 2013 and third in 3 1/2 months.